MINI has given the well-received Roadster its full debut at the 2012 Detroit Auto Show. MINI released photos a while back of their new 2013 Roadster and now it has made its full debut at the 2012 Detroit Auto Show. The new Roadster has been received with great acclaim and now seeing it in person, it truly does exemplify awesomeness. The 2013 MINI Roadster made its debut in Cobo Hall and looks just right, with its open-top, 2-seater look. The aggressive little coupe sits lower than the 2012 MINI Coupe convertible and will be available in three trims: Cooper, Cooper S and John Cooper Works. 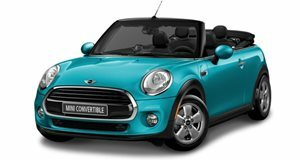 As we reported earlier, the 2013 MINI Roadster, in Europe, will go on sale next spring with a base 1.6-liter 122hp gasoline engine. The Cooper SD is powered by a 143hp 2.0-liter turbo diesel and the Cooper S has an 184hp 1.6-liter turbocharged gasoline engine. The John Cooper Works version has the same 1.6-liter turbo that produces 211hp. For North America, only gasoline engines will be sold. The 2013 MINI Roadster is currently on display at the 2012 North American International Auto Show in Detroit, Michigan.